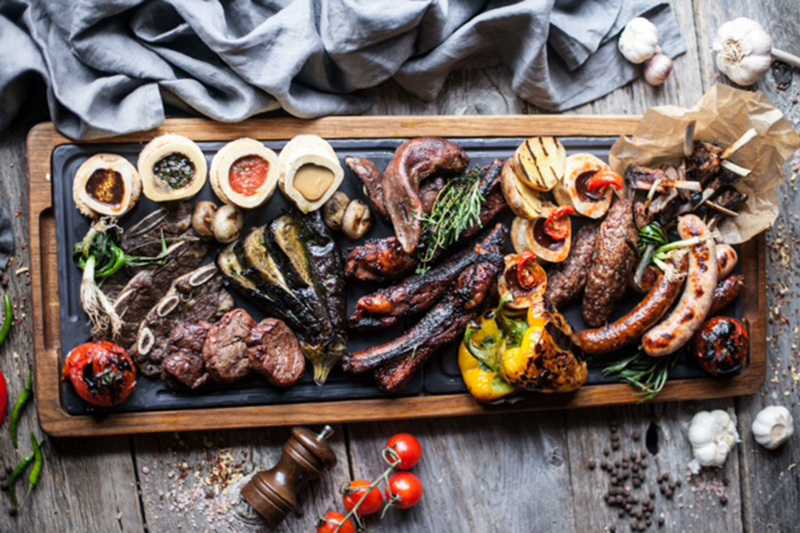 Only for the companies of friends, the Chef of Bochka restaurant Igor Bednyakov has elaborated a generous set ‘butcher’s board’ that includes 2.5 kilograms of meat specialties. The set includes: beef tenderloin, lamb chops, rabbit sausages, kebab, Chorizo sausages, BBQ pork ribs, beef tongue, beef ribs, baked marrowbones. The dish is served with a variety of sauces: house adjika, Russian mustard, red wine sauce with mustard grains, spicy creamy sauce. The set price is 6300 rubles (2500 g) – for 3-4 persons; 3150 rubles (1250 g) – for 2 persons. The restaurant’s Chef sommelier has also prepared a special wine offer to match the meat set – Cuvée No. 1 Réserve / Manor Markoth 2013 (Russia) at a special price of 2500 rubles per bottle.